If you’re taking a yoga class, most will start with a briefing on intention setting and how to open yourself up during the day. If you’re going solo, before you move into your poses, take a few minutes and think about what your intentions are for the day. If you need some inspiration, check out our post on intention setting with examples. After an eight hour (or longer) break from the real world, you usually wake up groggy and on the hunt for coffee. Yoga lets you awaken your spirit and senses, with a fresh start, welcoming the new day in a positive manner. What better a way to remind yourself of the current moment than to focus in on your movement? Forget deadlines and stressors, while you concentrate on improving your breath and balance through your yoga practice. With that said, we’d like to take the rest of the post to hyper focus in on benefit #2: Awakening Your Senses. 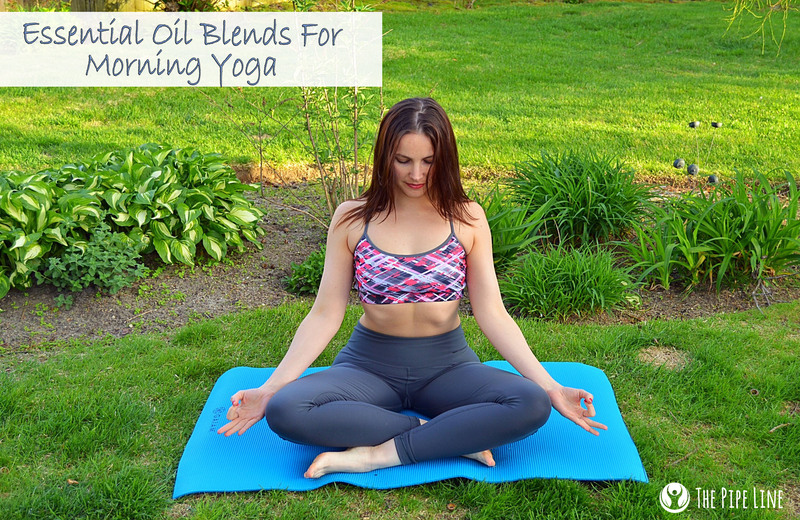 One way to help either empower you while you’re doing yoga, or after you take a class, is by using essential oils. Smell is a definitive way to awaken your mind and help ease your body into the day ahead. So, here are two blends that you can make yourself and put in your diffuser to help open yourself up to the new day! Now get out of bed and do some yoga! You won’t regret it, we guarantee that! Loved this post? Have a favorite pose? Let us know! And if you want to stay in the loop on sales + other blog posts sign up below!